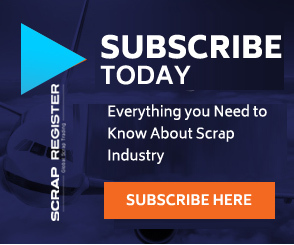 NEW YORK (Scrap Register): The consultancy Metals Focus looks for the palladium and rhodium markets to maintain their longer-term uptrends despite concerns about slowing growth in auto sales in key markets. The main industrial use for the metals is automotive catalytic converters. January data on U.S. passenger-car sales were considered disappointing, and the outlook for sales in China was considered “challenging” after a decline in 2018, Metals Focus said. In the near term, poor data may affect palladium and rhodium prices by curbing investor enthusiasm, the consultancy added. “However, we believe that tight physical market conditions will remain in place in the medium term for both,” Metals Focus continued. Analysts said they still look for the global vehicle market to grow in 2019, even if by a small amount. Further, they point out that tightening emissions standards in the U.S. and China will mean increased loadings of the metals. Despite higher prices, there has not been increased output for the metals due to near-term restraints on mine production, Metals focus said. “As such, we are confident that both metals will see deficits for yet another year in 2019, which will in turn further draw on above-ground inventories,” Metals Focus said. “Ultimately, all this points to the uptrend that both metals have seen in recent years being likely to remain in place for the foreseeable future. In the near term, corrections can of course not be ruled out…. In the longer term, as long as market deficits continue, so will the boost to palladium and rhodium prices,” the firm noted.